I had an amazing experience working with Adila! I was looking for a condo in a new community, where the demand was high and places were going quick. Adila used her extensive network of resources to stay ahead of the listings and provide me with options before they were officially posted. She was flexible and always worked around my schedule to meet at convenient times for me. She was easy to contact and communication was seamless throughout the entire process. Her dedication and care helped me get the perfect condo for my needs and within the budget I requested! I highly recommend Adila! I had a great experience with Adila. She went out of her way to help out and kept me up to date on everything that was going on with the purchase process. I would gladly do business with her again. Adila is a great realtor who went above and beyond when selling my house. She has great knowledge of the area, and knows what similar houses are on and coming on the market. She ran several open houses for the public, as well as some open houses specifically for other realtors. She helped me with contacting the right people for performing quality and timely repairs. I would highly recommend Adila to anyone looking for a realtor Adila has become a great friend as well as a realtor throughout the process of helping my wife and I buy our first home in the US. Her counsel, knowledge, and willingness to attend all of the builder meetings that we had, made the process much less daunting! We find Mrs. Khan through the web. We feel so lucky to meet her because of helped us a lot. At the beginning we wasn't familiar with the town, which area to choose, which school would be for kids etc. we described her what we want and she find us exactly what we wanted. She gave us several options and showed us several apartments to choose from. She is hones and responsible and she has a lot of knowledge about her job. I would highly advise her. Adila was extremely helpful during the process of purchasing our first house. During our initial touring, she showed us a variety of options, ranging from new development communities, some more established than others, to previously owned units to help us understand what we were looking for. She showed us a variety of neighborhoods and included helpful insight on what the surrounding locations provided as amenities. She was also very conscious of our budget, being sure to show us options that were within our range and taking into account any future plans for renovations that we may want to do. In the end we were very happy with our decision and appreciated all her help throughout the buying and closing process. 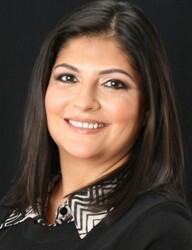 We recommend Adila for any real estate needs and look forward to working with her again in the future.